What is petrified passion? When your passion for the Holy Spirit starts to slip. Listen to hear three ways to protect your passion to stir up the gifts within you, resolve conflicts, and associate with the right people. Bible references to for additional study Colossians 3:2 3:23 and Joe 5:2. 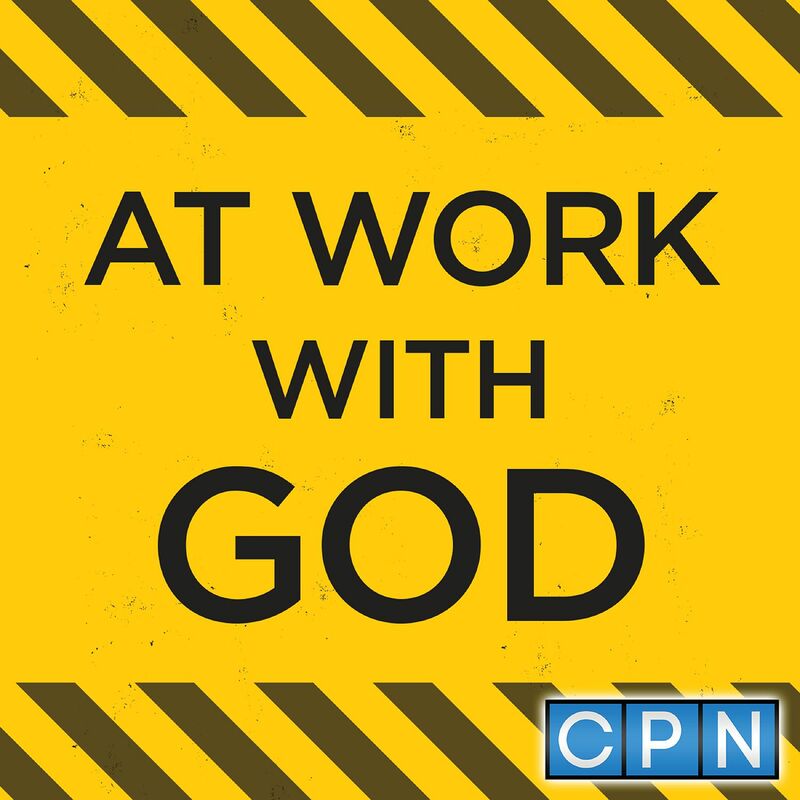 Talk to the Lord about your work. Be clear about what challenges you. Ask for help and clarity in the present moment. Hear how to approach Jesus like the blind man in the story from Luke 18:41. Your potential needs to be planted before you can sprout. God puts you through a process to fertilize the gifts to do the work before you. Listen to this message based on reference verse John 12:24. Hear the story of a mother's reaction to her child throwing a tantrum for a toy. Learn how this mother's resistance to impatience will teach you joyful patience. It is in human nature to compare yourself to others, but what are you doing to stop it? You are incomparable. Listen to this story how King Saul compared himself to David. others. Learn what you can do to discourage this behavior in yourself, then to discourage it in others. How will there be harmony when there is foolishness? Listen to the message from Dr. Steve Greene about wisdom. Learn how not to be a fool who follows their own ways. What can the Holy Spirit do for you? Listen to find out the 33 actions of the Spirit and the Bible verses for each one for further study. Understand how the Holy Spirit speaks to you and leads you daily. What is the one thing you have to accomplish today? Listen to this message from Philippians 3:13 to find out the one thing Paul believes you should focus on. Hear from Luke 22 the prayer of anguish Jesus prayed with focus. Help others find their focus today. God puts people in your life to build Kingdom relationships. Hear this teaching from Acts 18:1-4 to be intentional about your work relationships. Learn from Paul's connections with friends to be conscious of the way you work with others. Start working with the Lord to serve others more. Be approachable for a position of courage and strength. Do not fear what lies ahead of you for the day. Listen to this message on Joshua 1: 9 to find out wherever you go God has commanded you to walk in courage and strength. Who do you listen to? Where do you get your advice? Your heart pulls you to seek the face of the Lord, not the wrong person. Don't take advice from someone who does not have a relationship with the Lord. Learn from the Psalms to seek answers from the Lord. How do you add value to people at work? Adding value is a critical part of what you do. Listen to this devotion on Ephesians 4:1-6 to hear love is the added value in selfishly promoting growth in others. Take away three keys areas to start helping others. What do you do to persist when things are going well? Listen to this teaching on persistence and how to benefit the people you work with. Learn three lesson points in persisting to do each day. When you find yourself in a rut at work, you may conform to the ways of the world. Listen to this message to become open to the new things the Lord is showing you. Study today Romans 12:1-2 to renew your mind and keep it fresh. How do you become more productive in serving others? Listen to the 3 keys on how to be more productive to serve. Dr. Steve Greene teaches from Isiah 32:8 about how to be noble and to do noble deeds. Recognize what you do daily has meaning. There are good rewards for your labor when you work as a team. If one falls the others will help. Listen to this teaching on Eccelastis 4:9-10 to hear how two are better than one at work and God has planted you to help another. Work toward being an example of good works in all you do. Listen to the study of Titus 2:7. Learn how you can change the world where you are at without having to change from job to job. Your work is your mission field. Loneliness can sneak up on you at work. You may feel like nobody cares or sees you. Be encouraged not to give up as you listen to this memory verse Gen. 28:5. God is with you, will watch over you, and He is there wherever you go. Look back at the past year and consider your steps. Is there anything you would do over? Reflect on where you are. Figure out what have you struggled with and what you would like change. List the things you want to continue to carry into your new year. Listen to this message from Proverbs to begin improving your steps. Peace is a promise to those who receive the Lord. There are three different peace: Peace with God, Peace with Yourself, and Peace with Others. Learn more in this devotion from Luke 10:5-6. Listen to help your heart glorify God today by praying for peace over others.